ACTi corporation have eblasted customers and press alike with what seems like an excellent offer for the purchase of cheap IP cameras. The Eblast has listed several models that are now being offered at up to 75% off. The question though we have to ask is why? We understand that ACTi may have an excess of stock. What has caused this excess? 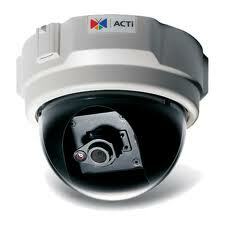 It is being speculated that IP camera prices have for far too long been held at an artificially high price. Much of the price difference however between IP cameras and analogue has been due to the vast difference in numbers of units produced i.e 80% analogue cameras V 20% IP cameras. The balance though is starting to be tipped towards IP cameras as more manufacturers flood the market. So is there more supply than demand? The uptake of IP has without doubt been slower than hoped. Even the most pro IP commentators out there have been forced to admit disappointment with the speed that CCTV installers are shifting to IP camera solutions. However when a company as large as ACTi suddenly reduces prices by 75% then IP camera manufacturers everywhere should sit up and take notice. Even if this “sale” can be put down to obsolete stock making way for new more innovative products , it still means ACTi produced too much to sell in the first place. The UK CCTV market has been told time and time again that IP has arrived , but we have only seen IP required when we actually want to sell HD cctv solutions. This will help IP camera sales but competition from HD SDI technology will mean a mighty battle is about to place. Price will be crucial in deciding who will come out top, it must be a worry though for IP camera suppliers that as yet they have failed to make huge in-roads into analogue dominance and just when the major benefits of IP cameras can be exploited with the surge in HD camera sales they suddenly find that they have to compete with a completely new technology. Interesting times ahead. This entry was posted on Tuesday, November 15th, 2011 at 01:26	and is filed under IP CCTV. You can follow any responses to this entry through the RSS 2.0 feed. Both comments and pings are currently closed. ACTi has made it fairly clear ‘why’ they are discontinuing pricing on these models. As the eblast says these models are being EOL’ed, i.e., End of Life, discontinued. ACTi announced almost a year ago that they were planning to discontinue older models to focus more on megapixel camera sales. Steep price drops on products that are being discontinued are common in many industries and is not typically a sign of troubles in the main business. At the very least, you should make clear to your readers what is clear in the eblast – that this is for End of Lifed cameras. You can see it in the URL, it’s the ‘EOL Promotion’. The UK market notwithstanding, IP camera sales are growing quite strongly around the world. yes agreed John, megapixel is the way forward and of course any company will need to sell off old kit in order to make way for new products.The bottom line though is it still means they produced more than they could sell and they sell worldwide, not just in the UK. Anytime prices are reduced by that amount people should be taking notice and asking why they were not sold before they became end of life . At the very least, if you wanted to be clear and fair to your readers, you should have stated the EOL point up front at the beginning of the paragraph. Instead, you speculated ominously about major market problems. Secondly, if you analyze the public financial results of companies like ACTi, Axis, Mobotix, Avigilon, etc. you’ll notice that ACTi is, by far, the worst performance. ACTi is a negative outlier in a market segment that is experiencing robust growth. Avigilon have a brilliant team here in the UK that is selling the concept of HD and IP quite brilliantly.It is no surprise to us their market share is rising. Installers and distributors here in the UK though are not seeing the growth they expected or have been promised by some manufacturers and commentators. The speculation that IP cameras in general are not selling well is a local issue within the UK, we can’t vouch for other countries. However the fact ACTi have to sell IP cameras at such a massive reduction can only be construed as lack of demand generally even if they are EOL, which we do acknowledge is correct. We are not anti IP or anti ACTi, in fact we welcome anything that will encourage growth in the CCTV industry, but day to day IP cameras cause engineers more problems than analogue camera systems. That together with the fact that they are more expensive means the demand at present is just not there. Even large distributors such as Norbain admit this privately despite the comments of their new MD in this months edition of Security Matters. He predicts (hopes) the tipping point to IP cameras in the UK will be towards the end of 2013. It will be interesting to see if this proves correct especially as we had heard previously from within the industry that this tipping point was due as long ago as 2008!